US OPEN Swing Dance Champions are held in LA and for those of us not as fortunate to go still want to be a part of the action and see the new routines debut! 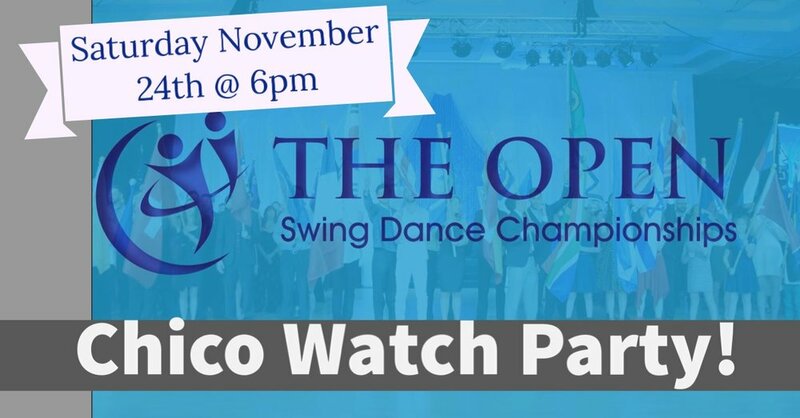 We are starting our party at 6pm to watch the Classic Routines and other categories from Friday night as well as Kyle & Sarah’s showpiece but you are more than welcome to stop by at any time. Show Case Routines start at 9:30pm. It costs nothing to just come hang out and have a good time with good people while enjoying an awesome show. We do want to encourage everyone to bring something to eat or drink to share and if people want we can all chip in an order some pizza or something. We will be in the main dance area with a big projector. We will be moving over some furniture to make it more comfortable but please feel free to bring chairs or pillows and blankets! Come in your Pjs if you wish (I know I will) It is always so much fun getting to watch the routines that everyone has been putting so much work into!